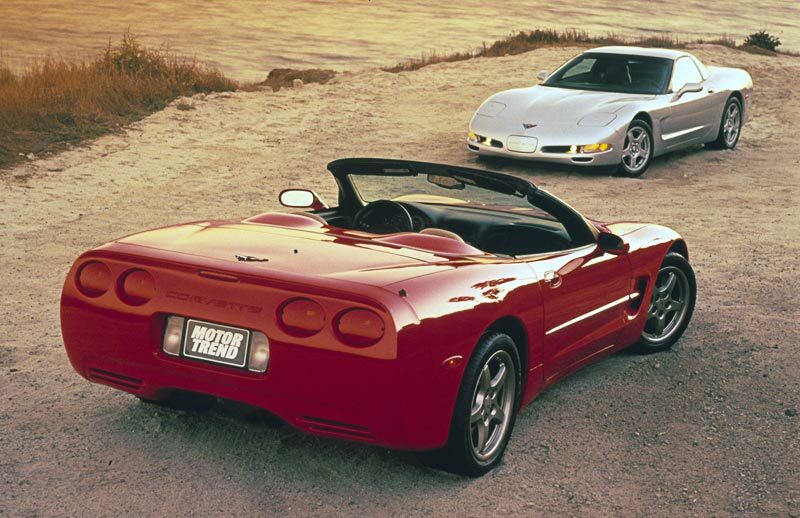 Something the world had not witnessed in 36 years - a conventional trunk on a new Corvette. It was last seen in 1962, the final year of the C1 but was now part of every convertible. 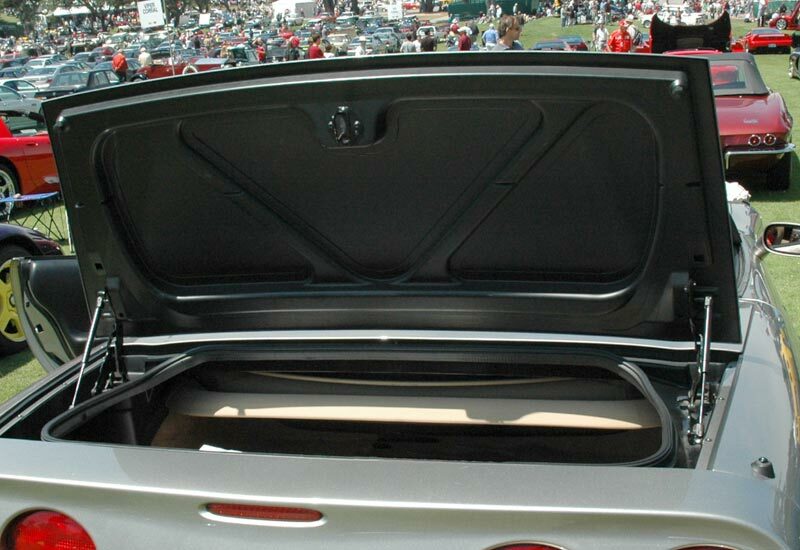 The C3 and C4 convertibles had minimal storage accessed through the passenger compartment. 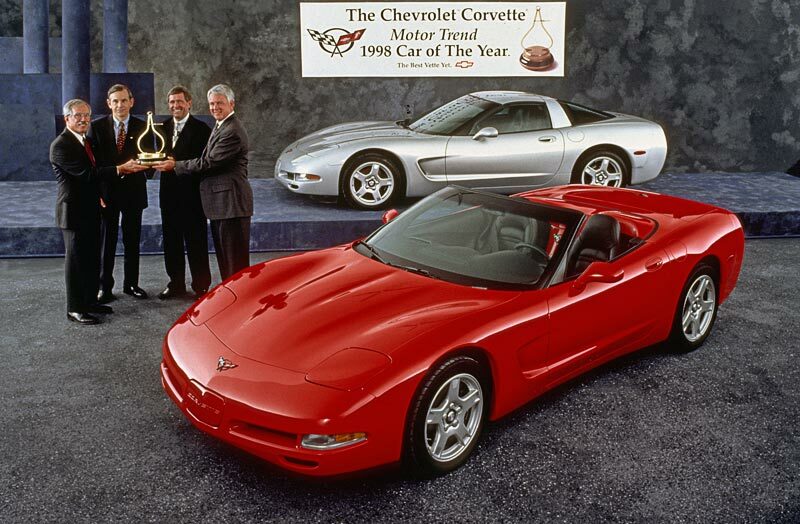 The 1998 Corvette (both coupe and convertible) was the recipient of Motor Trend magazine's "Car of the Year" award. 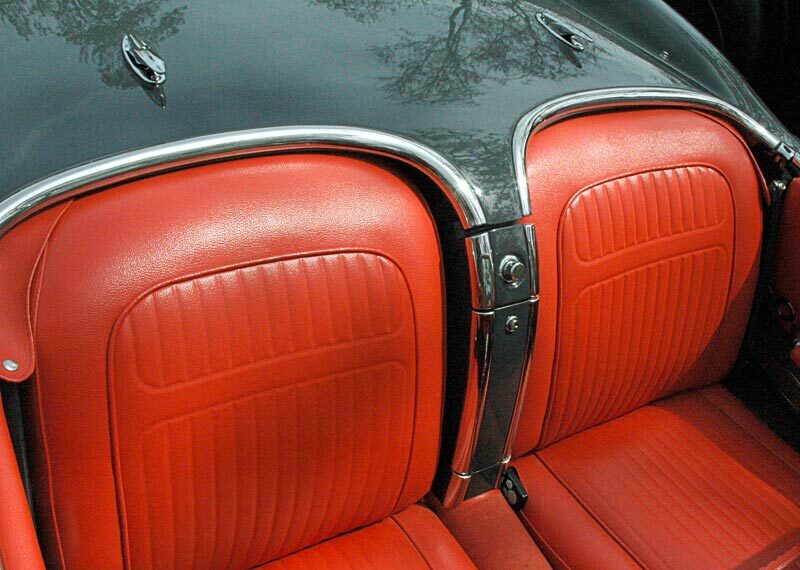 The stylists went back to the Corvette roots (above, a 1958) with the "waterfall" interior in the new convertible (below). 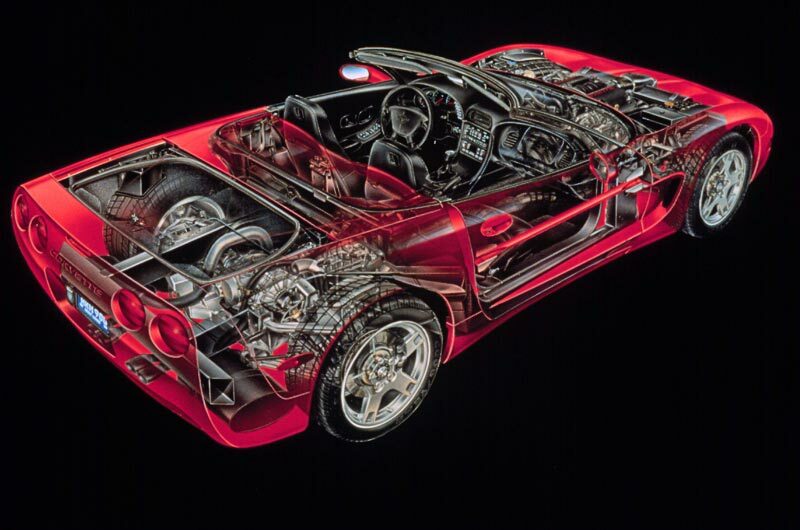 A more open effect was the result of extending the exterior into the interior, a common styling element of classic sports cars. 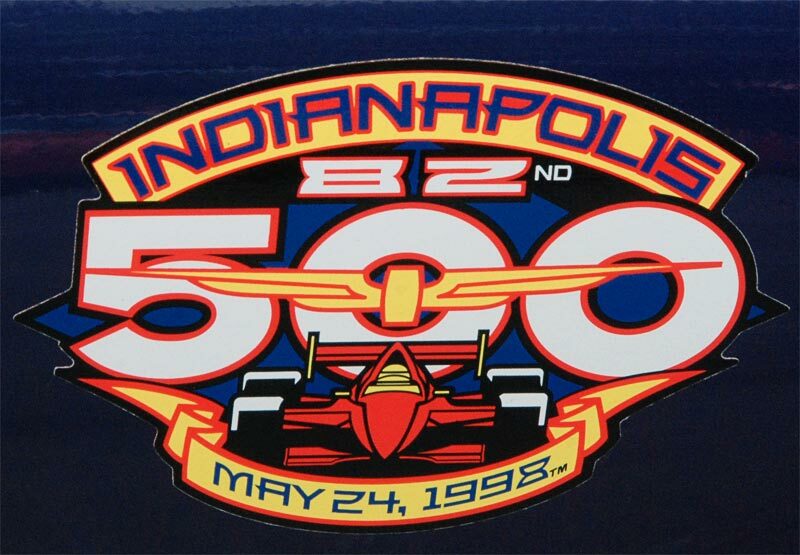 The Corvette was chosen as the pace car for the Indianapolis 500 for the fourth time. 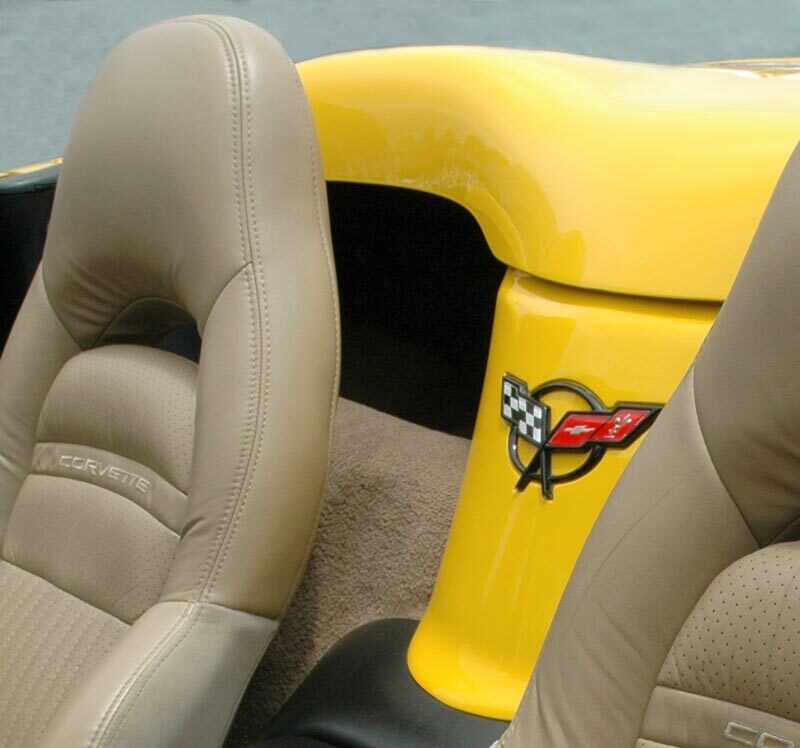 1,163 pace car replicas (RPO Z4Z; $5,039.00) were sold and featured special trim. 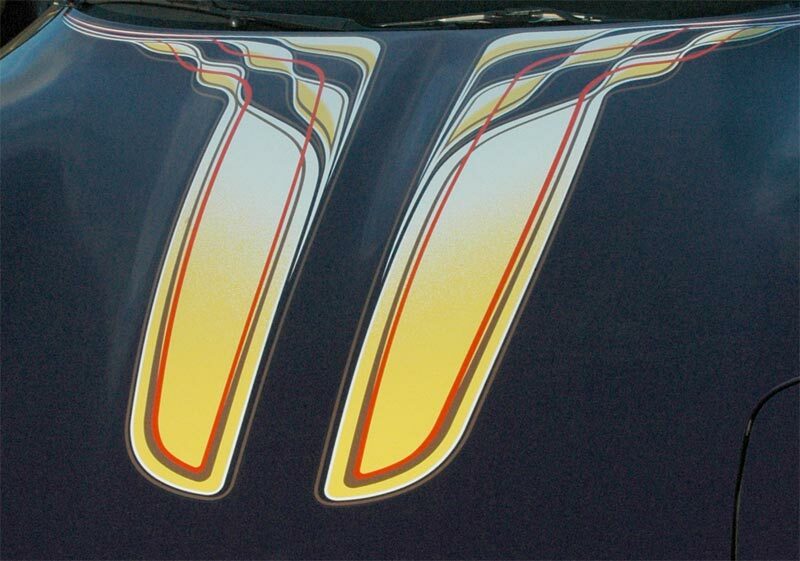 The paint scheme included graphics which could not possibly be described as subtle. 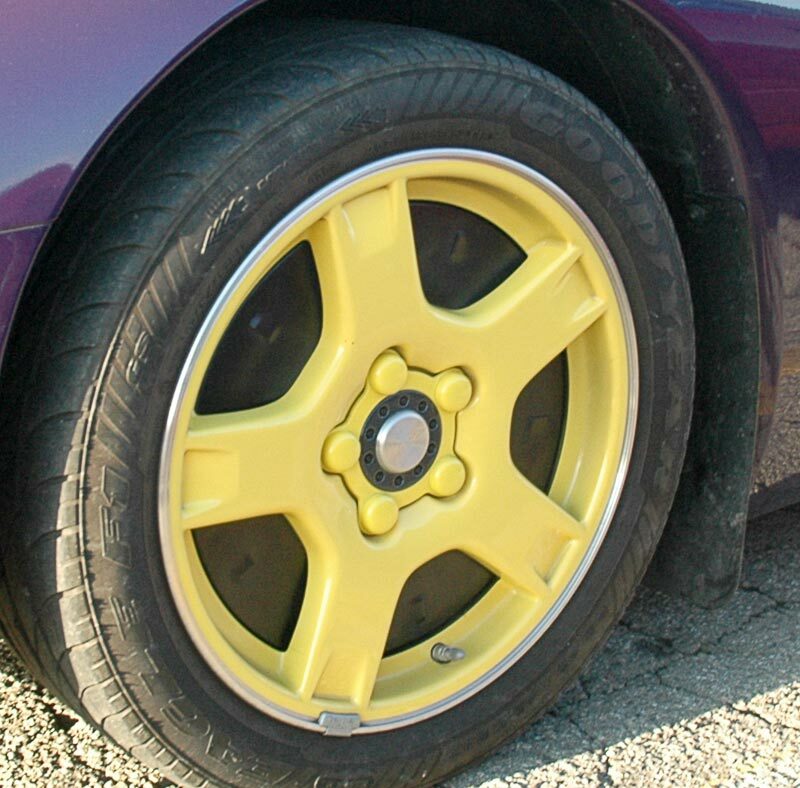 The interior was black / yellow leather.